Ready to take charge of your fleet costs? Now’s the ideal time to assess your spending—and to kick off new, money-saving strategies. 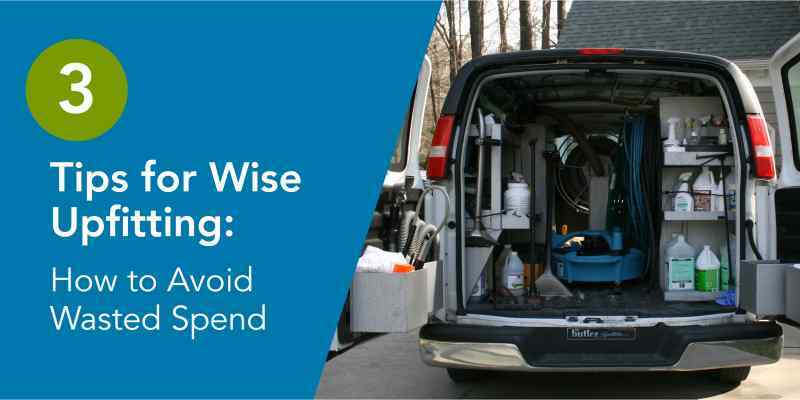 In this article, we’ll discuss how your fleet might be draining your budget. We'll then provide proven strategies on how to reduce fleet costs. Take action sooner rather than later. Once you see how much you're saving, you can stop worrying and focus on running your business. Fuel costs are rising. In fact, gas prices are expected to spike dramatically in 2019. Why is this? One reason is the weaker Canadian dollar, which is now worth 10 cents less than the US dollar. Another is the upcoming federal Carbon Tax, which will affect those in Ontario, Saskatchewan, Manitoba, and New Brunswick. This new tax will add five cents to every liter of gas starting on April 1, 2019. So while we’ll discuss strategies to lower your overall fuel spend, it’s important to plan and budget for the increasing costs of gas and diesel. Reducing fuel inefficiencies in other areas will help you save money where its possible, so you can take better control of your total cost of ownership. Tip: To help drivers find the lowest fuel prices, tell them about the Gas Buddy app, which has a database of gas prices across Canada. In Canada, interest rates have been rising over the past two years. In late October 2018, they rose again by a quarter point. For strategies on how to deal with this increase, including how to evaluate your fleet lease rate type and how to save costs in other areas, see our blog What You Can Do About Increasing Fleet Interest Rates. Buying a new vehicle is never cheap. But, when it comes to vehicle acquisition, remember this: You’ll get the best prices when you order directly from the factory. 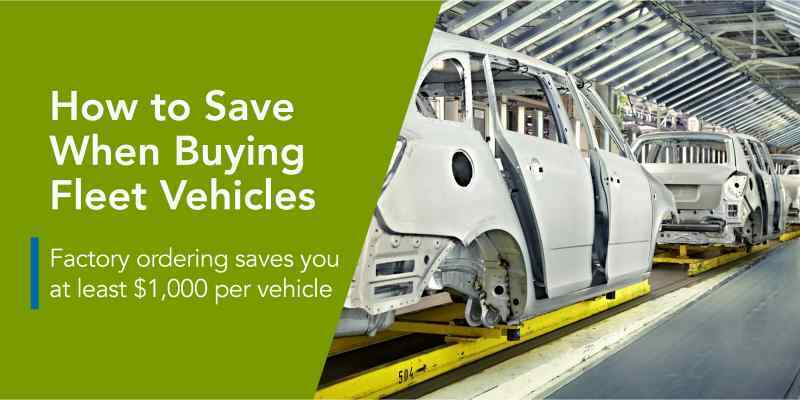 In fact, ordering from a factory will save you at least $1,000 per vehicle—and the more vehicles you order, the more you’ll save. You’ll also avoid dealer transport fees for delivery of the vehicle. That's not all. Factory vehicles also have lower markup since they don’t involve marketing fees and interest that dealers factor in. Finally, ordering from a factory gets you manufacturer rebates, up to $300 per vehicle. Again, the more vehicles you buy, the bigger the savings. Choosing which types of vehicles to add to your fleet is a key part of your fleet management strategy. Analyze your business needs and select the right vehicles for the job. Wherever possible, replace larger vehicles, like SUVs and vans, with cars to improve overall fuel efficiency. Once you get your vehicles, you might need to upfit them to help drivers do their jobs better. While upfitting is an extra cost, a wise upfit will offset that cost by improving driver performance and preventing turnover. In other words, the right upfit improves your return on investment. First, work with suppliers with ample experience in upfitting vehicles. They'll steer you toward the best features—and deliver on time. They'll ensure the process goes smoothly, thus minimizing your time and money costs. Second, involve drivers in the planning process. Base the upfit on what they actually need, not on what you think they need. For example, a company might want shelving on both sides of a van, but a driver might only need it on one side. Additional shelving might prevent the driver’s seat from going back all the way—which is uncomfortable for the driver. You can prevent situations like this by involving drivers up front. They’ll be happier and you’ll avoid wasting money on unnecessary items. Third, determine the vehicle’s purpose in your company—so that the upfit is relevant and sensible. Ask whether each part of the upfit enhances the vehicle's purpose. If you don't, you might pay for unnecessary improvements or overlook what you really need. Your drivers might have passed their tests, but how they act on the road—day in, day out—has a huge impact on fuel costs—and on your total fleet operating costs. Do you know if your drivers are speeding? Or if they're accelerating too fast or braking too hard? Or even if they spend too much time idling? If you can’t answer these questions, your fuel costs are probably higher than they should be. Pull all drivers' abstracts regularly, at least once a year. Remember to check the records of all drivers, whether they're new to your fleet or trusted longtime hires. You can get driver abstracts through a fleet management company or through provincial licensing offices. If drivers have worked in other provinces, contact each office. Telematics is information technology that uses Internet and satellite connectivity. It helps fleets monitor vehicles remotely. If a driver is driving irresponsibly, telematics systems alert both the driver and the company. This prompts the driver immediately to correct the error—and keeps the company aware of what's happening in their vehicles. If you discover that employees are driving irresponsibly, should you terminate them? While bad driving is dangerous and costly, the drivers might not necessarily be bad employees. Lapses in judgment can be corrected, so consider investing in driver safety training, which can take place online or in-car. Training can minimize or eliminate behaviours that waste fuel and put the driver and vehicle at risk. 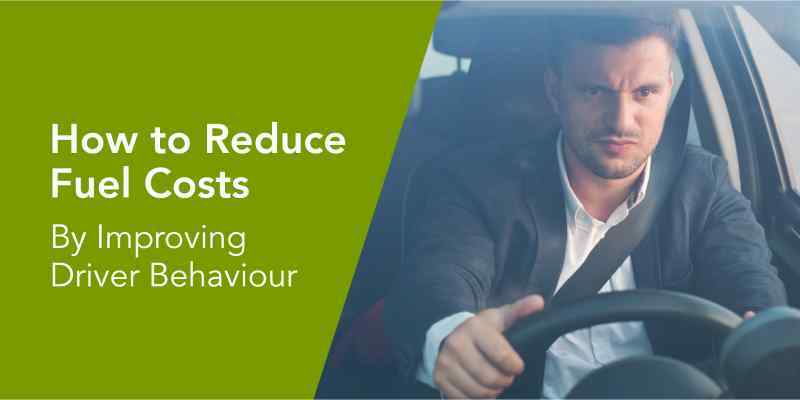 Don’t discount the role driver behaviour can play in reducing fuel costs. Decreasing bad driving behaviours can lower your fuel consumption by 25%. 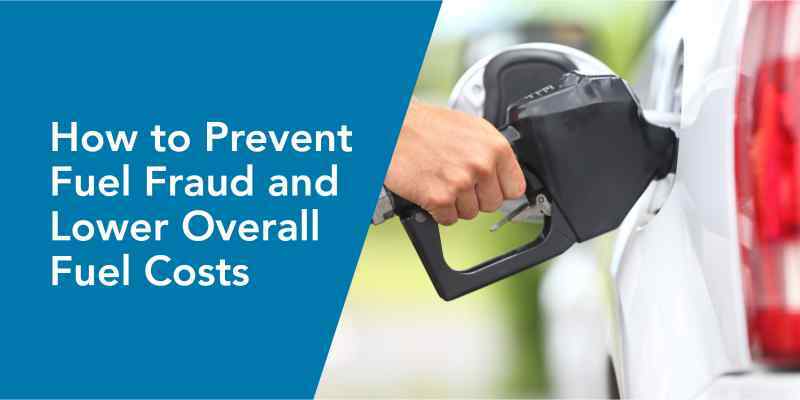 You might trust your drivers, but fuel fraud is surprisingly common. It comes in many forms, from larger purchases to seemingly harmless small purchases that add up over time. What’s the solution? Implement a card system for fleet fuel tracking. It eliminates all uncertainty regarding driver purchases—and it expedites the administration process. Instead of checking receipts, you get real-time alerts about any unusual purchases. A fleet management company sets up your system with relevant data, such as gas tank capacity and fuel type for each vehicle in your fleet. If a driver with a gas-powered vehicle tries to purchase diesel with a fleet card, the system would flag it. Likewise, it would flag a driver who tries to buy more fuel than a vehicle’s gas tank can hold. 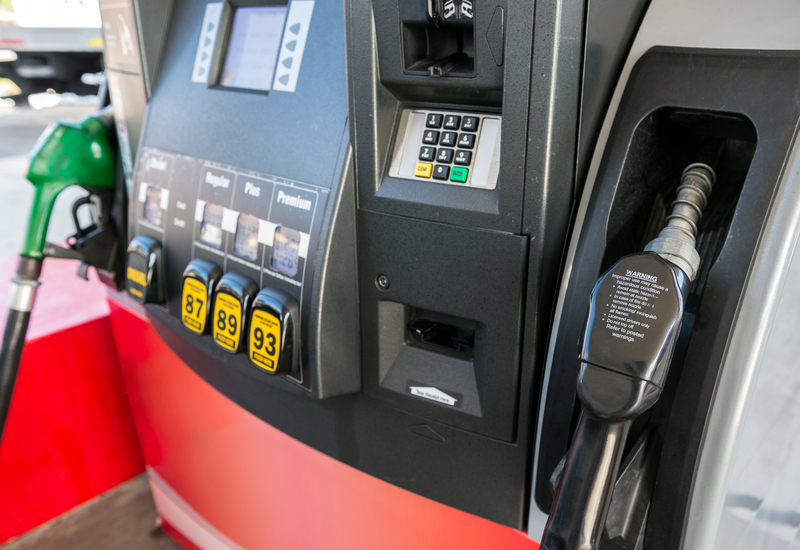 In addition, a fleet card is accepted at nearly all fuel and maintenance facilities. So, rest assured that your drivers won't be circling around looking for a particular gas station. It bears repeating: Tracking driver purchases with a fleet card helps to eliminate fraudulent spending. Most likely, your overall fuel costs will drop. Let's face it. Maintenance constitutes a significant portion of your overall fleet spending. To reduce maintenance costs, it's important to reduce vehicle wear and tear. So the first area to look at is driver behaviour. Bad driving causes car parts to degrade faster. For example, sudden acceleration can stress the engine, especially in cold weather. Sudden braking can cause a cascade of damaging effects. The brake rotor can warp over time, which will lead to pulsation. In turn, pulsation is hard on the steering components and bearings. Therefore, stomping on the brakes means not only that they'll need more frequent replacement, but that suspension and steering systems will also take a beating. How can you encourage your employees to drive more carefully? Again, a GPS tracking system is remarkably effective. You'll get real-time alerts if your drivers are jamming on the brakes, gunning their engines, or taking harsh corners. You can then use the information to provide corrective training. The second area to look at is how to better manage the maintenance you do need. For necessary maintenance, a fleet card system keeps you on top of what's needed. A fleet card lets you set maintenance purchase limits on each driver’s card. Limits generally range from $1,000 to $2,000, an amount you can define in your company policy. 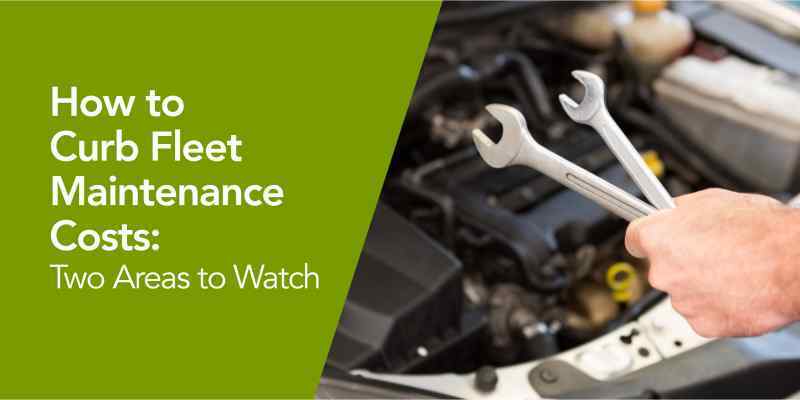 A fleet card will also have a record of each vehicle’s entire maintenance history, so it's easy to figure out if recommended repairs are truly needed. The upshot? You'll neither miss a deadline nor get unnecessary service done. 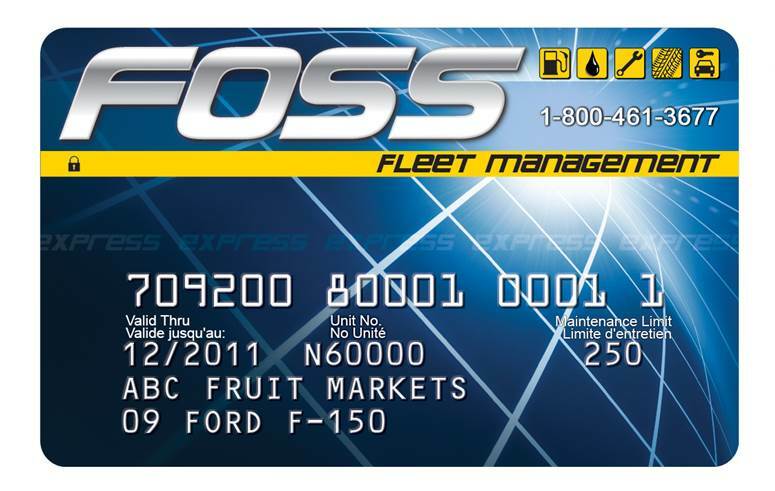 To learn how a fleet management company can help you with fleet maintenance, read What You Need to Know About Fleet Maintenance With Foss National. To lower your fuel and maintenance costs, consider adding EVs to your fleet. As we mentioned earlier, the price of gas is rising—and this trend will likely continue. However, the cost of electricity to charge electric vehicles is now more affordable than the cost of gas. In switching to EVs, a single driver who travels 20,000 km per year will save as much as $2,000 per year on fuel. Electric vehicles also give you savings in maintenance and repairs, which leads to a lower total cost of ownership. For example, EVs don't need oil changes because their engines don't use oil to run. Likewise, they don't use fan belts, air filters, and spark plugs—so none of these parts ever need replacing. In addition, EVs have regenerative braking, which results in less wear and tear on the brakes. One caveat: EVs do have higher purchase prices. That said, there are financial incentives available in British Columbia and in Quebec. The last cost-savings opportunity we’ll touch on today is administration. Don't underestimate your company's "hidden" admin costs. Many fleet managers spend inordinate hours of their workday sorting through fuel and maintenance receipts. That adds more than necessary to your overhead. Couldn't your time be better spent on other priorities? A fleet card will streamline your fleet cost management, so all you have to do is review and sign off. All of your fleet’s expenses are consolidated into one manageable statement. Invoices show each purchase and tie them to a specific vehicle or driver. In the end, you’ll need to prepare only one cheque for your entire fleet’s activity. By hiring a fleet management company (FMC), like the team here at Foss National Leasing, you can dramatically lower your overhead. That's because FMCs are specialists and can greatly streamline processes. An FMC can revolutionize how you run your fleet. Monitor driver purchases for any unusual activity. Track vehicle maintenance schedules and history. Centralize all fleet expenses into a single statement. In other words, you need not spend time directly overseeing the process. Rather, the FMC does the day-to-day busywork while you remain in total control. Ultimately you save both time and money. Who enjoys haggling? Buying a car is often stressful and complicated. Why not have an FMC negotiate for you? FMCs are armed with extensive data and can conduct in-depth life cycle cost analyses for fleets. Using this data, they advise fleets on the smartest decisions regarding buying and selling vehicles. For instance, they’ll determine the projected worth of vehicles when their leases terminate—then you can choose those with the highest sale value. Learn more about how the process works in our blog Fleet Life Cycle Cost Analysis: How to Lower Your TCO. Also, an FMC has strong industry connections and years of experience in selling vehicles, so they can garner for you top resale prices at auction, plus faster turnaround. Bottom line: you'll have lower overall fleet costs. Many Canadian fleets must travel on the 407 ETR highway in Ontario, the first electronically operated toll highway opened in the world. Sometimes, unfortunately, incorrect charges occur. Catching such errors is difficult, particularly for fleets that monitor numerous vehicles. Your fleet is an essential part of your business, so it's worth its costs. But why pay more than necessary? Look at how you're running your fleet. Chances are, you can improve your processes in various ways, from setting up electronic systems to hiring a professional FMC. In today's unpredictable economy, it makes sense to budget wisely and to "run a tight ship." Seize this opportunity to launch a solid action plan. Want more details on how to reduce fleet costs? Download Control Your Fuel and Maintenance Costs to learn how to take better control of your fleet's biggest expenses. Discover how to take better control of your fleet's biggest expenses. Get your copy of this whitepaper to learn valuable tips that can save you real money.